If you suffer from hearing loss, wearing hearing aids may be the best solution to help you live a healthy, normal life. Because they’re so vital to your daily hearing, it’s important to follow your audiologist’s instructions on how to care for and maintain them so they’ll stay in great condition for years to come. Here are three important ways to care for your hearing aids. 1. Protect them from damage. One of the easiest ways to keep your hearing aids going strong is to protect them from physical damage from being dropped, stepped on, eaten by the dog or falling out and getting lost. Choose a routine place to store your hearing aids when you’re not wearing them. It should be a dry, cool place out of the reach of children or animals. Make sure your hearing aids fit well so they aren’t in danger of falling out. If they’re not fitting well, visit your audiologist for an adjustment. 2. Protect them from dirt, wax, and moisture. One of the most common reasons for hearing aid problems and repairs is damage from dirt, wax or moisture. Dirt particles from the air and your environment can corrode the components of your hearing aid, while wax from your ears and oil from your skin can clog tubes and microphones and cause interference. Finally, moisture from your body and environment can wreak havoc with the electronic parts of your hearing aids. Clean your hearing aid daily, usually before putting them away for the night. Use the right tools to clean – a soft, dry cloth and cleaning instruments from your audiologist or a cleaning kit you can purchase. If you live in a moist climate or sweat heavily, consider using a dehumidifier case to store your hearing aids at night. Clean your ears (the right way). Wipe your outer ears, but avoid inserting any objects in your ear canals. If you have severe buildup, visit an audiologist for a professional cleaning. 3. Visit an audiologist for repairs and adjustments as needed. 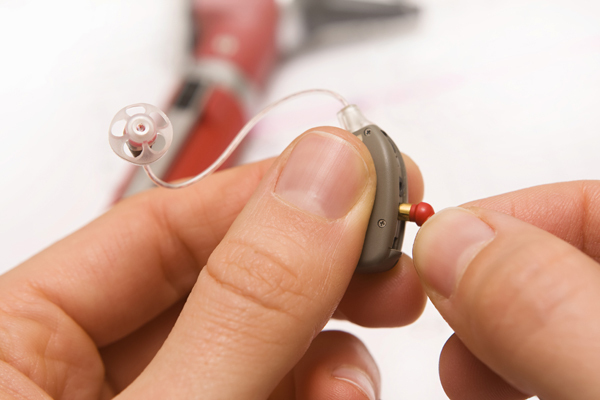 Even little problems with your hearing aids can develop into major issues if you don’t resolve them. Be sure to visit your audiologist any time you need something deep cleaned, replaced, re-fitted or sent out for repair.